As I chat over the phone to artist Peter Reder about The Contents of a House, his latest project for this year’s Brighton Festival, I’m on a train, contesting with temperamental mobile signal and occasional off-putting jolts. For a conversation about place, my own location is particularly unstable, shifting and continually disrupted. In a sense, this mirrors the format of much of Reder’s work; guided investigations of sites peppered with detours and interruptions. Accessibility is also an element of the guided tour set-up, a format that is instantly familiar to audiences. Although this format is one that Reder has kept returning to in his work, it was one that he initially fell into almost by accident. During a period of research and development for a new show at Somerset House, Reder had a number of found objects to show to a small invited audience and naturally found himself presenting them, guiding spectators through his discoveries. “What I really stumbled on is that speaking about these things was a sort of performance,” he remembers. Intrigued by what could be achieved by adopting this presentational style, it quickly spilled over into the finished work and became a recurring technique. “I’m aware that it’s a very familiar thing and in some ways I rather enjoy that,” Reder says. “It has a comfortable feel; people know how these things operate.” But he’s not content with simply appropriating this format without interrogating it; there’s a desire in the work to gently provoke and subvert, to acknowledge the way that guided tours traditionally “pander to what people want to hear” and dig away at what latent desires people bring to these tours. In this sense, Reder argues, it’s almost “anti-tourism”. Recalling one production in Edinburgh, in a context surrounded by lots of real guided tours, Reder explains how they used fabrication to reveal what audiences wanted to hear. “In that particular show I always made up a story about a building that was a phantom, that had been in that place before the current building, which sometimes was true in some of the buildings we used, but at other times was entirely fictional. I realise that’s a very strong desire, that there should be something underneath the layers, that people like the idea of a ruin beneath the current building – a sort of archaeology.” It’s a desire that shares a kind of kinship with the experience of watching theatre; the impulse to peel back layers, to reveal something buried and authentic underneath the artifice. This is not interactive theatre in the way it’s typically understood – “there’s no obligation for anyone to share anything” – but there is clearly a hope that those who join the tour might find their own memories being stirred by those that are revealed in the building. “It’s very rewarding to see that I’m not just communing with myself, that it does touch people,” Reder says. 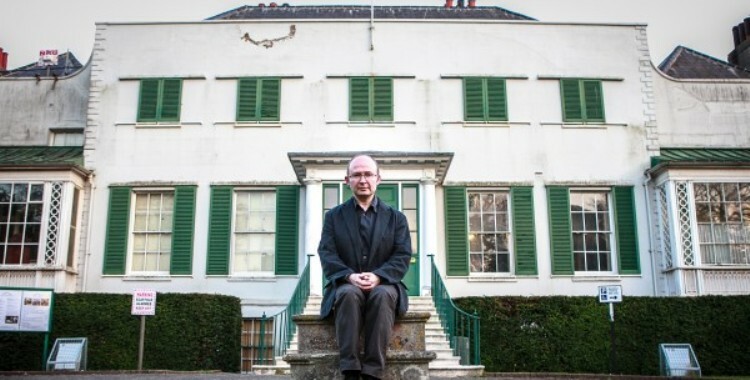 Returning to Preston Manor’s lack of historical or national significance – what Reder characterises as its “lightweight” quality – he wonders aloud whether ultimately it’s less about the place itself than the offer it extends to those who come to wander through it.